Marcus Batten is an experienced Director. Listen to what he has to say about Referron. Listen to Noel Allnutt, National Channel and Alliances Manager at Enterprise Data Corporation, talk about Referron. Kane Minkus, founder of Industry Rockstar™ and one of the worlds best business coaches, discusses his Referron experience. 1. 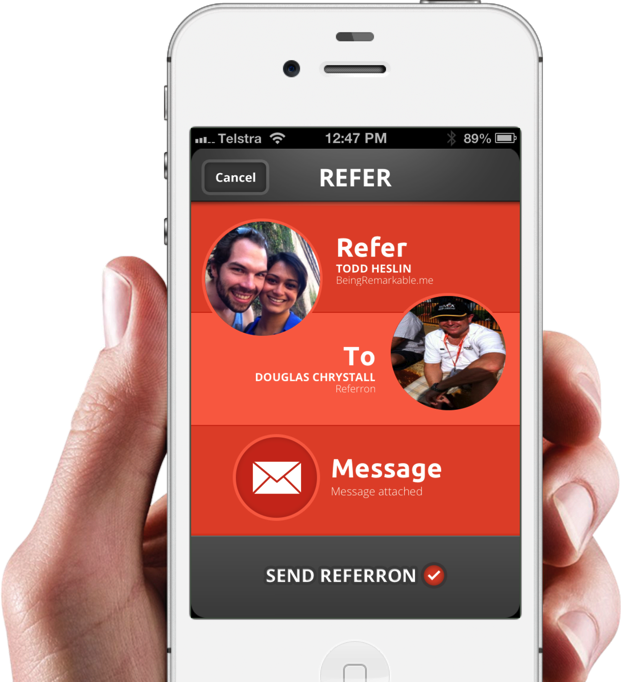 Make it happen - when you want to refer to someone,, referron makes it easy for you to take action on the fly! - and if you refer to them, they will refer to you and your business will grow! 2. Get parties to connect to each other - referron enables this to happen by providing tools for the business to follow up their referrals. 3. Did the referral work out - referron provides the methodology of giving the referrer feedback, and gives him the ability to account and manage the referrals that he or she has given! Kane says that the app is brilliant , and wishes that he had an application like this when building his businesses 10 years ago! "referron is one of the best tools I have seen in a long time that helps business refer and get referred!"